People may add sugar to many different types of foods they eat on a daily basis including breakfast cereals and home-baked items like scones, cakes, muffins, pies, rolls, cookies and biscuits. In addition, sugar is a common ingredient in many processed foods. 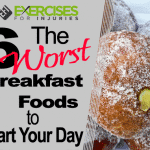 For instance, many processed foods already come with a high amount of processed, white sugar. Beverages, sodas and juices can also contain large quantities of refined sugar. Refined or processed sugar has been stripped of nutrients and is typically a large amount of empty calories. 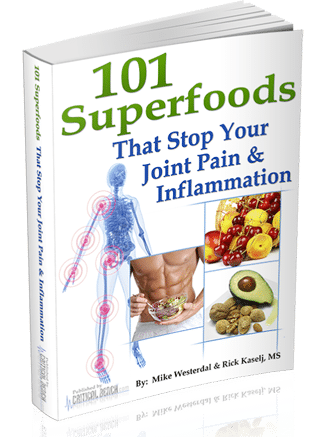 To further compound the problem associated with refined or table sugar, consumption of these refined sugars can lead to inflammation and an unhealthy lifestyle. The lack of valuable calories in sugar make its consumption even more alarming based on the amount of food items and drinks that list this type of sugar as an ingredient. To get processed sugar looking white and clean as it typically does when bought from the grocery store, there are mechanical processes that are used to systematically change the form of the sugar. Thankfully, there are healthier, all-natural sugar substitutes which could be used instead. 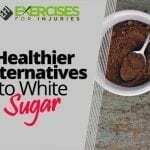 Some of these alternative sugars may be healthier than others depending on factors that include their glycemic index ratings. By seeking all-natural sugar substitutes, the body is allowed to enjoy sugar directly from its source and in its natural or organic state. Coconut is related to many healthy food choice options including coconut oil, coconut milk, coconut water and also coconut palm sugar. 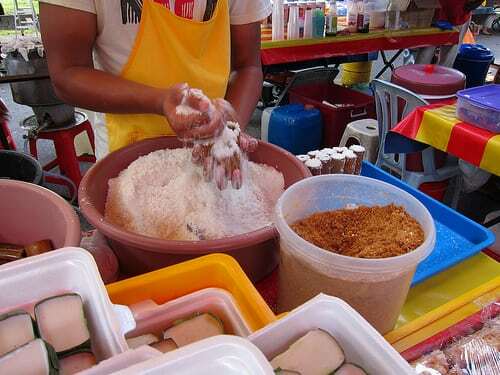 The sugar from the coconut plant is in its pure, natural form and is retrieved as sap. It has the same sweetness of brown sugar and when the evaporated sap is collected, it also resembles the brown appearance of processed brown sugar. However, all-natural coconut palm sugar retains all nutrients while maintaining a lower score on the glycemic index than more commonly used sugar. There could be concerns about the coconut plant not being able to produce other products after the sap is retrieved. Hence, it can be useful and beneficial for sustainability purposes to also consider other types of all-natural sugar substitutes as well. In addition, although it is a natural sugar, this sugar substitute does still have a significant calorie count and as a result, it should be added sparingly to foods and beverages. The green stevia plant with its white flowers is a good source of natural sugar. A naturally sweet herb, stevia is hundreds of times sweeter that typical processed sugar versions. It can be acquired in the form of an extract and may also be used in combination with other sweeteners. Completely natural, stevia sugar substitute is able to maintain blood glucose levels while table sugar can make you crash afterwards due to the spike in a person’s blood levels. 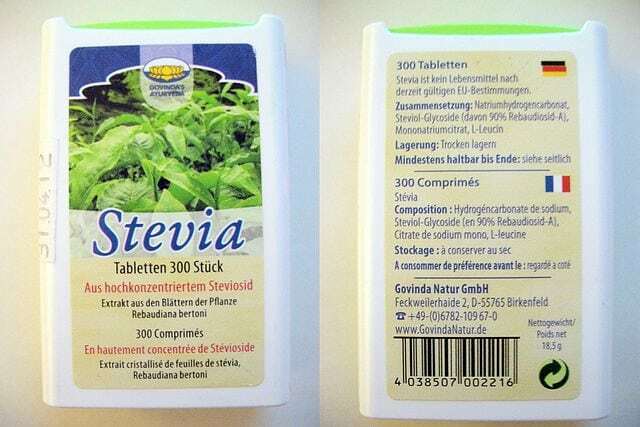 More good news regarding Stevia is its zero calorie content and no glycemic impact. As more people become conscious of their health, they are opting for sugar options that do not involve refined, white sugar and are using other natural options such as stevia or agave nectar . This substitute is gaining even more popularity each day. This all-natural sugar substitute has Asian origins and is also associated with stevia. You do not need a lot of Luo Han Guo when baking or in beverages. It has a sweetness level of at least 300 times sweeter that the typical processed sugar you would use. Hence, a little Luo Han Guo goes a long way. 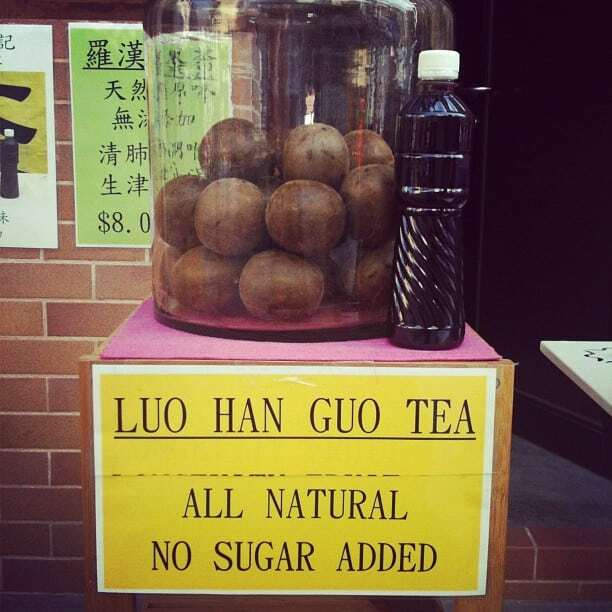 You could also sprinkle Luo Han Guo on cereal and notice the reduction in the amount of sugar that may be needed. Despite being in existence for a very long time, this all-natural sugar-substitute is gradually beginning to make its existence known to the rest of the Western world . This type of all-natural sugar can be found in different types of fruits and it has no calories. This is very attractive for any table sugar substitute as the calorie count in table sugar is one of the reasons why it has a negative impact on a person’s weight. Erythritol is actually a sugar alcohol and is over 50% sweeter than table sugar. Hence, you do get significant sweetness when using a small quantity of this sugar alcohol. There may be a cooling effect when using Erythritol and this may not be a desired effect. 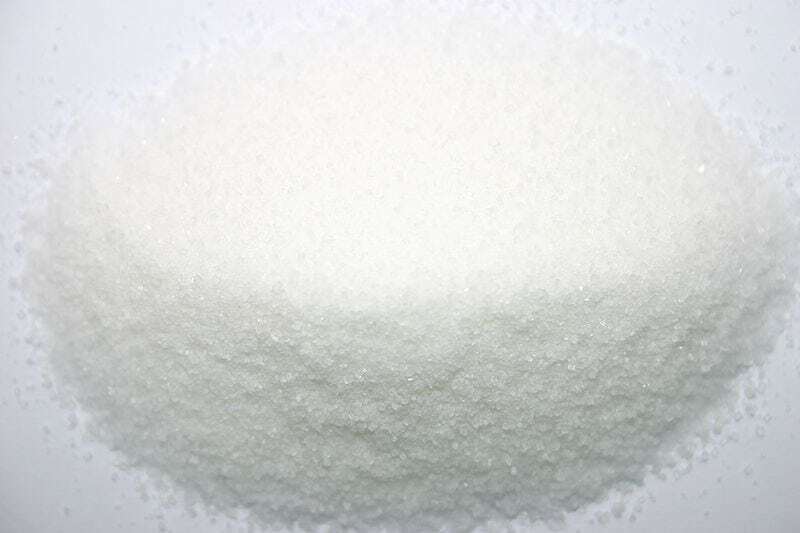 Also, there can be issues related to using Erythritol including its tendency to crystallize. Thus, when using this sugar-substitute for baking and other cooking, care should be applied regarding oven or cooking temperature to prevent foods from drying out. Other table sugar substitutes may have laxative effects but there are usually no side effects when using Erythritol . This is great news especially given the fact that fruits and vegetables which contain erythritol are readily available. This is also an attractive substitute as a result of the reduced calorie count that it provides when consumed. Processed sugar provides almost double the amount of calories contained in Xylitol. Hence, if weight loss is a key factor, seeking such substitutes with zero calorie counts can be optimal. Fruits and vegetables can produce Xylitol. In addition, Xylitol has properties that protect the body from bacteria. 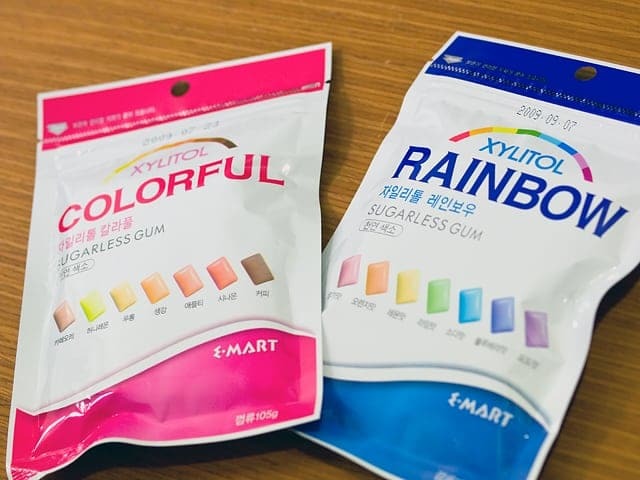 There are sugar-free uses for Xylitol including use in candies, mints, chewing gum and similar food items and there are also other benefits of this sugar alcohol including the prevention of middle ear infection and a source of energy in certain foods . Apart from the natural occurrence of this sugar substitute, it is also believed to be safe for consumption, tastes great and is convenient for use . Another healthier sugar option is chicory root. As a natural dietary fibre, the chicory root substitute for table sugar provides the same sweetness without the empty calories and in most cases, the chicory root will not leave an after-taste in your mouth. 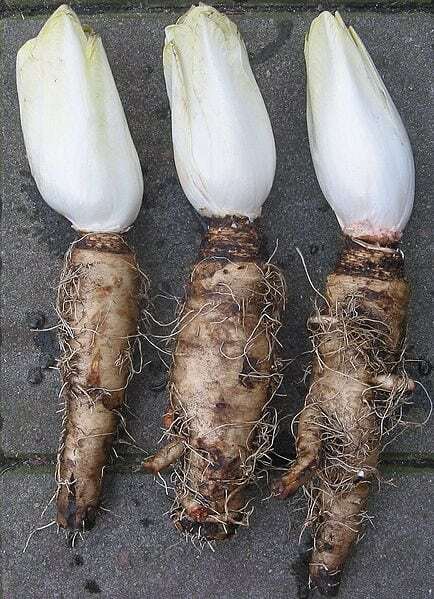 Highlights of the chicory root include the absence of an impact on blood sugar levels after consuming this natural sugar. Beyond the use of chicory root as a sweetener, there are also other health benefits of this food item including the provision of support to problems with the liver, support for digestion and antioxidant properties . Although this natural sugar substitute does have more calories than processed sugar, it is much sweeter than processed table sugar and as a result you only have to use a little at a time. Another benefit of using agave nectar as a processed sugar substitute is the presence of prebiotics or a dietary fibre that is good for your intestines. A highlight of agave nectar is that it is able to dissolve relatively quickly and this is great for use in drinks or foods that are not hot or warm. Thus, a cold beverage could benefit from this natural sweetener. It also has a neutral taste and this is great because you are then able to taste the other flavors in the food or drink in which the nectar is used. Agave nectar has a low glycemic index as a result of the high-fructose component it has. 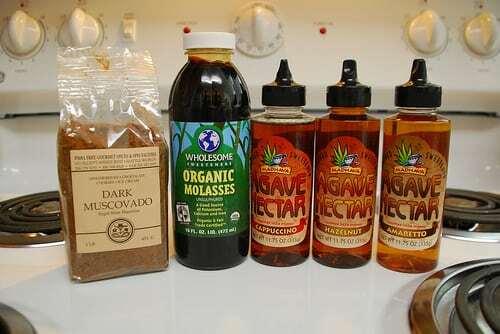 Hence, if you do use the naturally occurring agave nectar, you should only use small amounts. Other table sugar substitutes like organic maple syrup can another option. The ultimate goal is to refrain from using processed, white sugar. As a result of the alterations to organic sugar sources such as cane sugar, processed, white sugar is left with little or no useful calories. Hence, this does nothing good for the body. Consuming excessive amounts of processed sugar options or foods that contain processed sugar can lead to an unhealthy lifestyle in which the body is in a less optimal state. Thus, if you have been dreaming of a way to consume sugar in a healthier way, sugar substitutes that are natural and free from processing are available. Your dreams can come true with any of the mentioned all-natural sugar substitutes. The availability of these substitutes may broaden your cooking, baking, meal and beverage options too. Perhaps you have stayed clear of tempting baked treats as a result of the less healthy ingredients used. 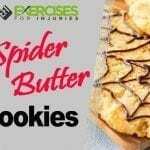 Well, join the fun and be part of a large number of people who are now able to enjoy foods with all-natural and healthier sugar ingredients, especially when compared with refined table sugar. Gone are the days when people had no choice but to indulge in treats and beverages that are loaded with processed sugar. 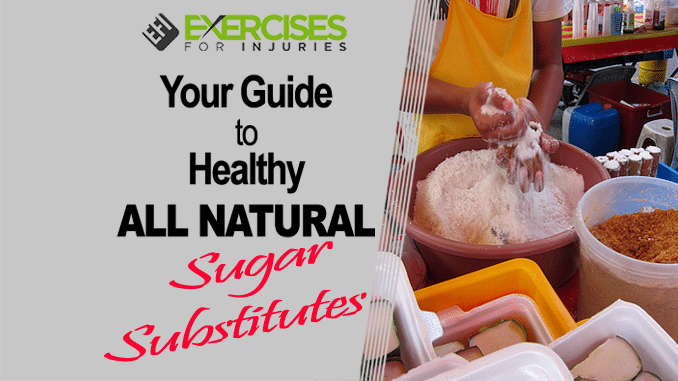 Those who want healthier sugar options can raise their hands in joy as they explore the exciting world of all-natural sugar substitutes. Are Stevia and Agave Nectar Healthier Sweeteners Than Sugar?